The rematch between Timothy Bradley and Manny Pacquiao is a bout most observers believe will have the same result as the first encounter. By that, I mean that Pacquiao will win the fight. In fact, had it not been for a controversial decision by the judges that gave Bradley the victory the first time around, this second encounter would never take place. In any event, the rematch is the only forgiving aspect of boxing where a fighter’s past sins are forgiven. Pacquiao, (55 wins, 5 losses with 38 Knockouts), must demonstrate that he is still a dominant fighter and leave any decision out of the judge’s hand’s; as for Bradley, (31 wins, 0 losses with 12 knockouts), he must prove that his victory was not a fluke and that he is a legitimate world champion fighter. 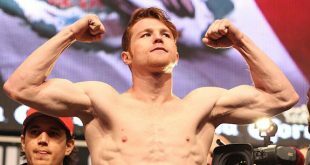 As the fighters are trying to have their past forgiven, the undercard put forth by Top Rank promotions to showcase the main event is unforgivable. 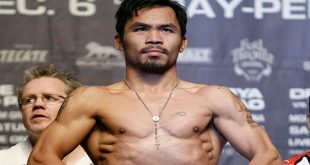 When the news hit that Top Rank chairman Bob Arum revealed the undercard for the Manny Pacquiao vs. Timothy Bradley bout on April 12, 2014, the web was abuzz with disbelief at the lack of formidable fighters that would be showcased prior to the main event. 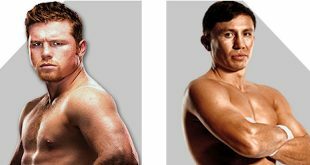 Most observers believed that Brandon Rios (31 wins,2 losses with 23 knockouts) or Ruslan Provodnikov (23 wins, 2 losses with 16 knockouts) would be on the undercard. Instead, we have Khabib Allakhverdiev (19 wins, 0 losses with 9 knockouts) facing off against Jessie Vargas (23 wins, 0 losses and 9 knockouts) for the Junior Welterweight title and add to that Roman Martinez (27 wins, 2 losses with 16 knockouts) taking on Raymundo Beltran (28 wins, 6 losses with 2 knockouts) in a lightweight bout. If you are asking yourselves who these fighters are, you’re not alone. Some might be aware of Jessie Vargas but really Top Rank isn’t helping promote the fighter with this opponent. Which leaves me to ask if this undercard reflect worse on Pacquiao or Top Rank? It is no secret that Pacquaio has never had great undercards. Look at his most recent fight against Brandon Rios, do you even remember who fought in that undercard? The card included heavyweights Andy Ruiz Jr. (21 wins, 0 losses with 15 knockouts) taking on Tor Hamer (21 wins, 3 losses with 14 knockouts), also featherweight Evgeny Gradovich against Billy Dib for an IBF title. I won’t even continue with the flyweight fighters because you wouldn’t necessarily care about these fighters. Top Rank has a knack of putting together fights that are not compelling at all, cue in Gillermo Rigondeaux. Another problem is that it seems that Top Rank has gotten lethargic about putting together a decent undercard for their Filipino superstar. Perhaps it has to do with Pacquiao being a brand in the sport and that Bob Arum’s promotional company feels that no matter what they put together as an undercard, they will have big pay-per-view numbers for a bout headlined by Manny? Think back to all the bouts where Manny Pacquiao was the headliner, can you remember an undercard being compelling? Neither can I. It makes you wonder if Top Rank realizes how poor their product has been compared to Golden Boy’s undercards or Mayweather Promotions’ undercards, both of which are showcased on Showtime pay-per-view. As an example, let’s take a look at the last Floyd Mayweather Jr. bout against Saul “Canelo” Alvarez. The striking perception is that Golden Boy and Mayweather Promotions showcases formidable undercards that can be PPV events in themselves. We all remember the Lucas Matthysse vs Danny Garcias world title fight that became the most talked about undercard in the boxing forums following the Mayweather beat down of Alvarez. Another bout that was in the undercard which was a world title fight as well involved Ishe Smith against Carlos Molina, which added legitimacy to the already loaded undercard. Ever since Showtime took the Golden Boy stable and started producing some quality PPV events, Top Rank has been losing the PPV battle. There is no sign that Top Rank is trying to better its position in the pay-per-view war which is unfortunate because HBO will eventually be forced to drop the great boxing programs that are successful such as 24/7 and Jim Lampley’s “The Fight Game” because of its lack of income generated from boxing main events. Golden Boy Promotions and Mayweather Promotions are now the standard in terms of having a product in the ring that people want to buy. The main problem with Top Rank is in it’s belief that people follow fighters and even if you put together an awful undercard they will still buy the pay-per-view event for that one superstar fighter. They have an antiquated way of doing business and if they don’t change the way they market themselves to the causal boxing fan, they will eventually lose value in the brand name and even worst, they might lose their affiliation with HBO boxing. There is no doubt that this rematch is very important to both fighters. Bradley needs this victory to get the respect that he has never gotten because even after beating Ruslan Provodnikov and Juan Manuel Marquez, his victory against Pacquiao is in question and so is his legitimacy. As for Pacquiao, he must demonstrate to the world that he is still the world champion that we once remembered and not the fighter who lost to Bradley and who got knocked out by Marquez. Whoever of these fighters ends up with the win, both fighter’s will lose because of the poor quality of the undercard. 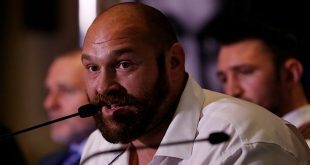 The backlash from boxing fans should be a lesson to HBO to take action and deal with greater bargaining force with Top Rank and make those undercards relevant and a showcase into themselves.